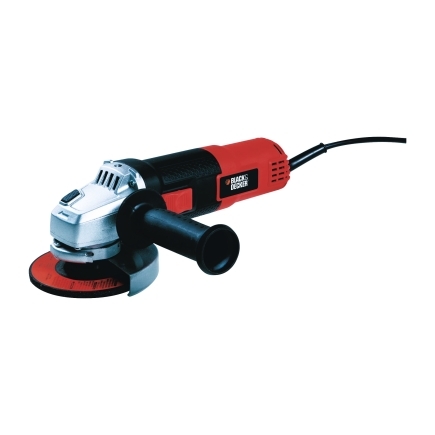 The Black & Decker BDEG400 4-1/2 6 Amp Angle Grinder is ideal for sharpening, cutting, grinding, removing rust and surface preparation. This grinder features a metal gear case for durability and longer life. It offers a 3-position side handle that provides added comfort and control for use with various materials and angles. It also has a spindle lock for easy accessory changes.